'The Map of Abandonment', the first volume of 'XXI. Artists'Guides', arises from the project of the same name which Giacomo Zaganelli, worked on in Tuscany between 2010 and 2018 to stimulate increased awareness about an issue that is relevant today more than ever before: that of our abandoned heritageas as resource. In addition to the mapping of forgotten places in Tuscany, Zaganelli's research aims to focus on historical memory, land consumption and reuse strategies. The book 'translates' the digital project into a paper-based format, an artist's guide structured on two reading levels: six itineraries accompany the reader through about 40 of the most interesting places that have been mapped, while the lightweight pages represent the artist's notebook, with superimposed personal annotations and sketches that can be read simultaneosly with the printed text. 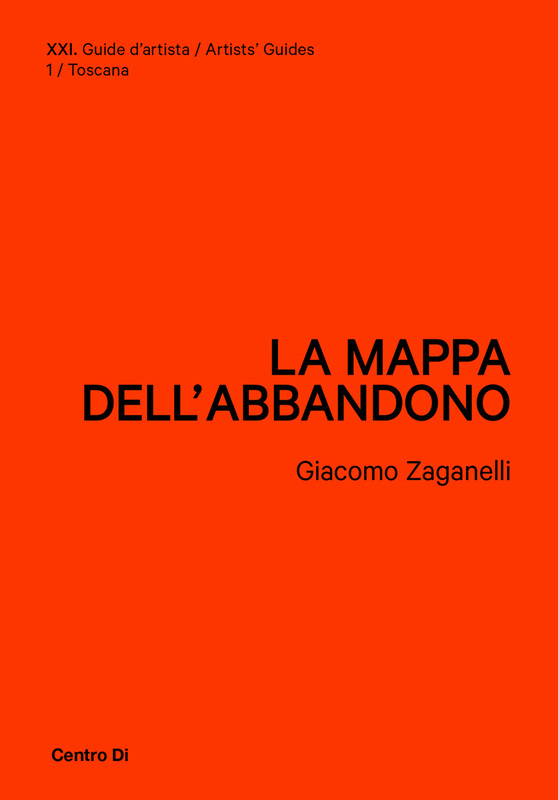 The book thus complete and reinterpretes the digital project that is expressed in the immediate contemporary language of the web, developing on paper the poetic and artistic side of Zaganelli's work.